There’s no more guessing when J Balvin’s new collection for GUESS?is hitting stores…. The 33-year-old Colombian singer and trendsetter has teamed up with GUESS? to bring to life the brand’s spring 2019 Vibras capsule collection. 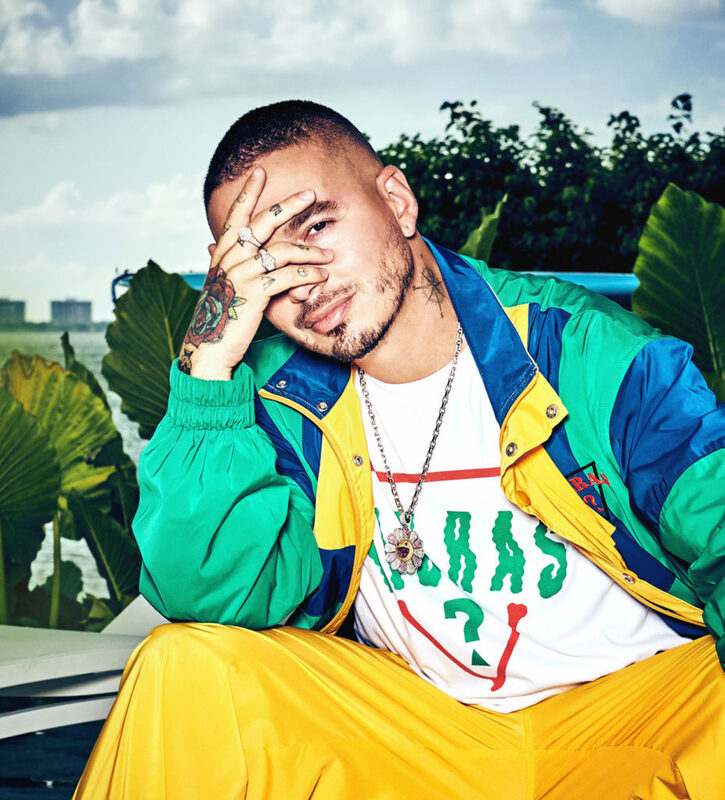 As the face of the new campaign, men and women will be blessed with a 42-piece vibrant capsule collection inspired by J Balvin’s chart-topping 2018 album, Vibras. The Vibras capsule collection, launching February 7 in GUESS stores and online, will include a selection of ready-to-wear clothes and accessories for both men and women, infused with Balvin’s personal style and colorful, risk-taking aesthetic.